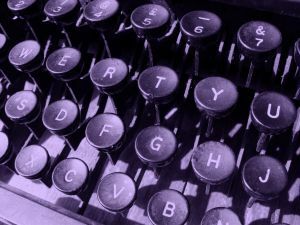 Why think about your keywords? Adding efficient keywords to your digital pictures requires significant effort and I believe you have to have a strategy for directing that effort. So, what do you need to be thinking about when developing keywords for your pictures? I created a list of five steps that should help you think through the potential problems when developing keywords for tagging your picture collection. How old is your strategy for creating image keywords? Try to think about the kinds of pictures you’re taking and imagine what you would be searching against. For example: You want to find out all the pictures taken in Yellowstone National Park that have deer in them and they were taken at sunset. All these highlighted words would represent actual keywords but at this time try to think in terms of categories that these keywords fall under. So, would you be searching for cities? Or events? Or animals? Or parks? There might be more than one answer to this question, like both events and animals, or both parks and animals. The answers to this question would help you identify the categories (or domains) that you currently have for your pictures. 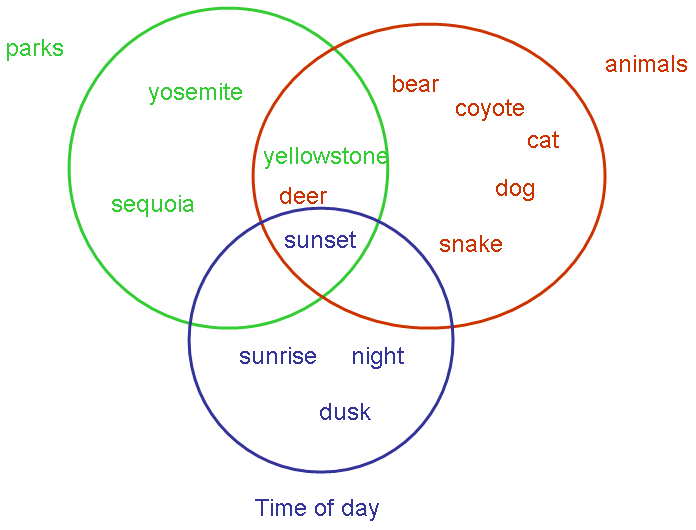 The example I have given would result in three image categories (or domains): parks, animals and time of day. The scenario I have presented above would represent finding the pictures that belong to the intersection of these three image categories. The more scenarios you can think of the more categories you you may discover for your pictures. Step 1 will help you manage your keywords so that they’re somewhat organized in your mind. This will help you so that you won’t have too many duplicate image keywords…hopefully none. For example when you think about the parks image category you can create keywords like: yosemite, yellowstone, sequoia, santa monica and others, depending on your pictures. Your software should help you group your image keywords into categories which would represent your image categories. An image keyoword category like animals will be pretty easy to work with; you just start listing the animals in your pictures as you find them. Most people would probably use the events category together with many other domains. The events domain would contain keywords like birthday, graduation, game, hiking_trip, photo_trip, biking_trip and so on. Some people create a date domain as well, even though keywords would not be needed since the “Date picture taken” field would contain all the information about dates. When you pick one image keyword category and start creating keywords for it, you only have to be careful about one thing. Make sure you don’t create duplicate keywords like: birthday, birthdays or bday. This WILL mess you up very quickly! So, how can you avoid creating duplicate image keywords? Well, it’s easy at first but it gets harder later because you will not remember what image keywords you have created…unless you look up your keywords. Always use singular in your keywords and no plurals. This would translate in birthday instead of birthdays. Don’t use any abbreviations…I think this is a must for any keyword since abbreviations are very hard to remember. When you would like to assign a keyword that doesn’t exist, don’t just add it but see if you’re actually discovering a new category. For example let’s say you take a bunch of pictures at Sequoia National Park and you transfer them to your computer and start tagging them with sequoia (from the parks domain), camping_trip (from the events domain), sunset, sunrise (from time of the day domain and flower, tree, grass (from the plants domain). Let’s assume you have already defined the keywords for these categories. However, now you find yourself that you would want to add tags for the friends that appear in the pictures: George, Jerry and Elaine. You could simply add the keywords, but they actually belong to a new category: people. This keyword category could have sub-categories like friends and family. I believe that if you think in terms of categories rather than in terms of individual keywords, it will help you develop great image keywords and avoid creating duplicate ones. This is probably the easiest step to understand but the hardest to implement…’cause you might be lazy like me. However, if you don’t apply at least a minimal set of keywords right when you transfer your pictures…well, you’ll be working very hard later. – Is there an industry standard data element for keywords (e.g.- A variable that most apps use so when you create them in one app (like Lightroom, PS, Picasa, Windows Explorer, etc ) they are transferred along with the file (like EXIF data) and can be read and used by the other app? I have learned for instance that SmugMug has a ‘Keywords’ field/data element but they as far as I can tell this is a unique data element and if you have keyworded your images elsewhere they will not be picked up and useful in SmugMug. – Which apps use a ‘keyword’ field/element that’s used by the most other apps? I’m trying to ensure that when I start keywording my many, many image files I’m not having to replicate the process. – Are most keyword functions designed in an ‘object oriented’ way (e.g.- once you create a keyword like ‘Animal’ it’s instantiated in that app and you can just select it for the remaining Animal image files you have? – Do most keyword functions enable you to select folders or other grousp of image files enabling you apply keywords ‘en mass’? TG…great questions! Let me try to answer them in order. Keywords are a industry standard approach for tagging photos. This means that the newer image formats have standard way to embed keywords in the image files. Namely, JPEG and DNG have standard way to use the IPTC keywords field and the corresponding XMP keywords tags. However, when you talk about web applications like SmugMug, Facebook, etc…they all have a unique and not standard way of dealing with keywords (and other standard fields). Most of them will read your IPTC/XMP metadata and show you that information, but if you add keywords using their application, most of the times those changes are not saved back to your image unfortunately. If you start keywording, focus on the standards, which means make sure your photo manager writes metadata in standard ways inside your image file (if you use JPG or DNG). This way your keywords will travel correctly with your images. Once created, keywords will generally be available to choose from in your application as to avoid duplicates. And yes you can select multiple files with most applications and apply keywords en-mass. Not really…keywords entered inside the image file are not being read by search engines unfortunately.